After blowing his immediate rematch with UFC bantamweight champion TJ Dillashaw, former champ Renan Barao (pictured) looks to start his road to redemption against Mitch Gagnon. 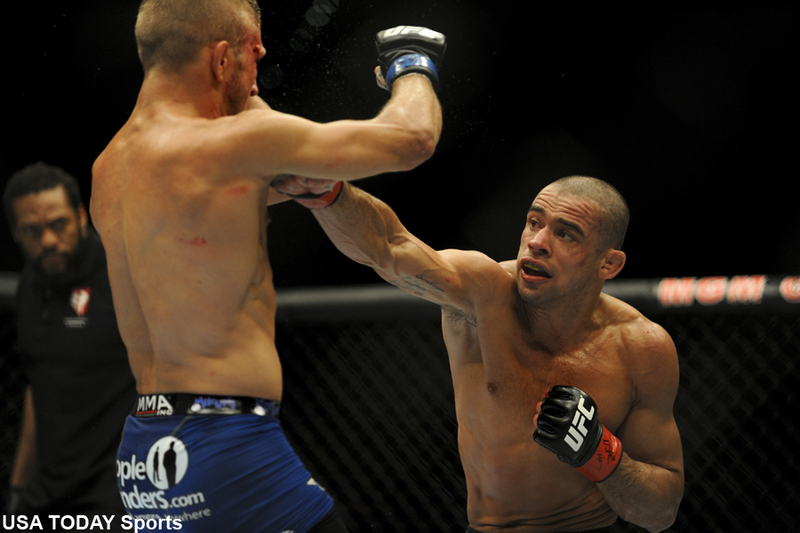 The UFC announced Wednesday Barao and Gagnon will co-headline UFC Fight Night 58. The December 20 event goes down inside Jose Correa Arena in Barueri, Sao Paulo, Brazil. Barao had his 32-fight streak snapped by Dillashaw in May at UFC 173. Given his dominance over the past nine years, the Brazilian was granted an instant sequel with Dillashaw, who easily served up the biggest upset special this year in MMA. Unfortunately for Barao, and fans who bought tickets or already ordered UFC 177 on pay-per-view, Barao passed out trying to cut weight and was pulled from the tango just hours before weigh-ins. Dillashaw went on to steamroll last-second substitute Joe Soto that night. Gagnon is perfect through his past four outings. He is 11 days removed from submitting Roman Salazar in Canada. Gagnon is currently ranked 15th in the UFC 135-pound division. Fox Sports 1 will broadcast the main card live in America.